You know how philosophers are always debating if the true nature of man is to help his fellow humans or to harm them? I'll pretend you said "Hell yeah, I was JUST reading about that!" It turns out a little video game known as Dark Souls 2 might be letting some of our innate benevolent tendencies to leak out. In a world of jerks and trolls and jerktrolls, it looks like some people are actually interested in cooperation! The message system in Dark Souls 2 works something like those magnetic poetry kits everybody has on their refrigerators. You have an array of words you can sort through, allowing you to write simple messages like "watch out for the ____" or "try jumping here" and leave them in the game for other players to find. This surprisingly elegant system helps prevent the inevitable flood of notes that say "boobz", but its the voting that makes it really shine. A rating system allows players to upvote messages based on their usefulness, ensuring that the best pieces of advice stick around to help out others. 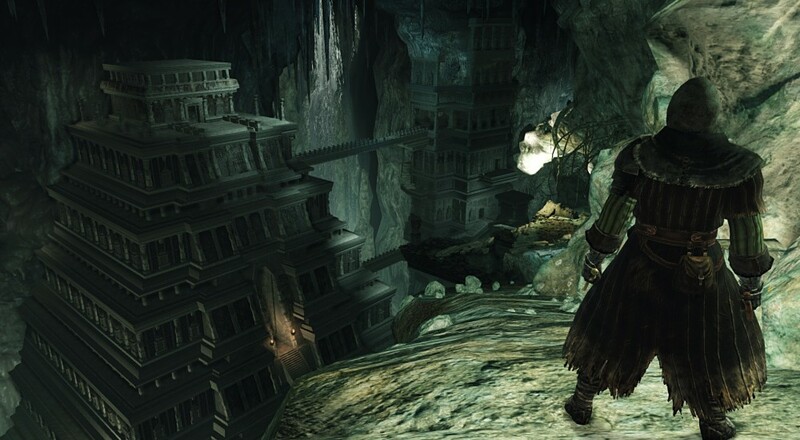 Developer From Software has reported that most of the in-game messages players leave in Dark Souls 2 are actually useful to other players. Only a handful are laid as traps to trick people into dying, which is just as well, seeing as how everything else in the game is out to kill you. In a bleak and dangerous world, your invisible co-op buddies are there to help!